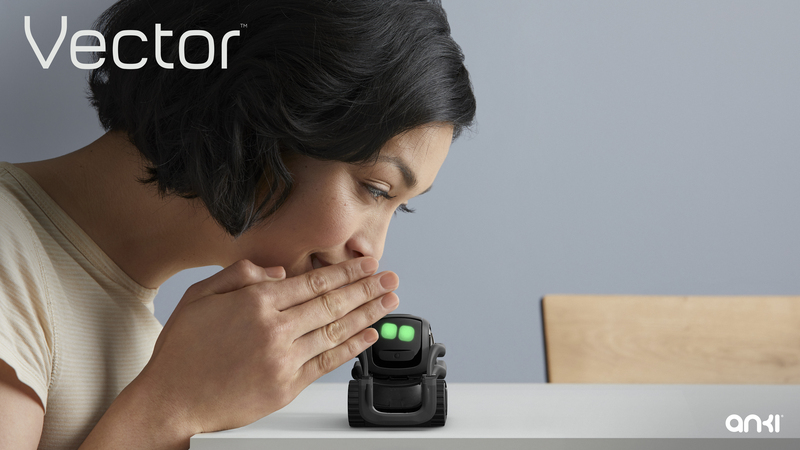 Today, we’re excited to announce our newest robot, Vector, with a Kickstarter campaign. Vector marks a major move toward our dream of a robot in every home. For the past eight years, we’ve been working tirelessly toward our broader vision of leveraging robotics and AI to push the boundaries of the human experience. Kickstarter is a crowdfunding platform known as the place where brand-new companies bring their vision to life. So why would a company like Anki turn to crowdfunding to launch Vector? The answer is simple: because we want to put Vector in the hands of Kickstarter’s incredible Design & Tech community. There are early adopters and then there are the “early-early adopters” of Kickstarter. This platform is the best way for us to directly engage with this bleeding-edge tech audience, for whom Vector was specially designed. From our research, we’ve pinpointed what early tech adopters genuinely want from a high-tech product. Seventy percent are excited that AI may someday hold a companionship role. Fifty-nine percent believe tech toys, gadgets, and robots make them feel closer to the future they’ve envisioned. On Kickstarter, there is high demand for Design & Tech projects as evidenced by the more than $1.3 billion that have gone to successful projects in these categories to date. Vector is ready for the challenge of joining those ranks. Aside from being the same age as Kickstarter (going on nine years now), we also identify with the platform’s focus on community. With Vector, bringing a group of like-minded, tech-loving individuals together is key. Kickstarter invests in the future, as do we. Anki is creating a future where the relationships between robots and humans make our lives better. We’re looking for like-minded people to be the first to take home Vector, our current embodiment of the dream. In the spirit of community, we’re excited to introduce new, potential backers to Kickstarter through the buzz Vector will likely garner. We want Vector to arrive first in the homes of people who want to help us determine his future. 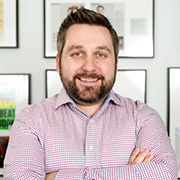 That includes everything from influencing his next set of features to accessing Vector’s software development kit and tinkering with his impressive tech array. And Vector is just the beginning. We’re continuing to invest in future projects that will, like Vector, shape the relationship that people can have with robots. Vector marks the start of an overall expansion for the Anki robotics platform, which hinges on applying the innovative technology we created in the entertainment space to general-purpose, home robots for a broader range of uses. Vector is a sophisticated product featuring top-notch technology. With Qualcomm Technologies’ connectivity, an ultra-wide field of view HD camera, infrared emitters for added sensitivity, and capacitive touch, Vector is the full package. In addition to cutting-edge tech, we’ve equipped Vector with a friendly, life-like personality because we believe the future of robots is more than just the best technology. The future of accessible home robots hinges on EQ (emotional quotient) as much as IQ. We’re firm believers of evolving our platforms and Vector is no exception. Since Cozmo’s launch two years ago, 23 updates have been issued to users. These updates have always been free, easily accessible, and, as a result, ensure that countless Anki robots in homes have the latest technology. When consumers purchase a robot from us, we want to keep them in the loop with a completely updated experience. As a cloud-connected robot, Vector will undergo automatic, over-the-air (OTA) updates, becoming incrementally smarter without the need for user intervention. Our 30-day campaign kicks off today and will end on September 6. Backers of the project will receive Vector at a special Kickstarter price and early access to the robot as well as the software development kit (SDK) alpha, which is launching this winter. Backers also automatically enrolled in the Vector Insiders Club, a Kickstarter-exclusive group that will help shape the future development roadmap for Vector. To learn more about rewards and to back Vector yourself, click here.